The Department for Energy and Climate Change (DECC), the ministerial department that aims to reduce UK’s greenhouse gas emissions and promote energy efficiency, has awarded almost £1m funding to assist UK datacentres minimise their carbon footprint. The funding was won by a consortium led by Cambridge-based datacentre energy monitoring company Alquist and involving Verizon and Schneider Electric. The funding comes after it emerged that datacentre energy requirements grew by 63% in 2012, suggesting that rising energy costs and stricter regulations are not helping to limit datacentre power use and cut carbon emissions. Alquist will help the two consortium members achieve significant CO2 reductions by integrating its Celsius temperature monitoring system in two refurbishment projects in London. The funding award from DECC, follows the consortium’s success in the “Invest in Innovative Refurbishment” DECC competition organised by the Technology Strategy Board in April 2012. Alquist’s datacentre temperature monitoring tool Celsius uses advanced laser technology and fibre optics to create high-definition temperature maps of datacentre server racks and power transmission equipment. The real-time information will enable datacentre managers to optimise airflow and air-conditioning settings more actively. This will help improve the datacentre facility’s energy usage, offering a mid-size datacentre about 10-30% reduction in electricity bills and carbon emission reduction of up to 2,000 tonnes per annum, according to Alquist. “Datacentre managers have very limited visibility of temperature fluctuation across their data halls. Celsius offers real-time visibility to enable IT professionals cool equipment far more efficiently and make significant energy savings," said Alquist founder Andrew Jones. Alquist’s temperature monitoring tool targets a high-growth market where the UK, with over £3bn invested in 2011, is the world’s third largest green datacentre player. The global market for green datacentres will grow from $17.1bn (£10bn) in 2012 to $45.4bn (£28bn) by 2016, according to a study. Datacentres are forecast to consume 6% of UK electricity by 2020 and UK suppliers lead globally in developing green datacentre solutions. 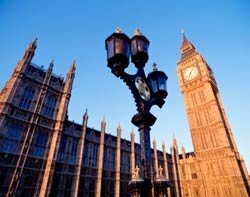 Government funding will help refine the Celsius range of tools and provide hard evidence of actual savings at two London demonstrator sites owned and operated by Verizon and Schneider Electric. "Operating cooling systems efficiently whilst avoiding hotspots is one of the key challenges faced by datacentre operators,” said Natalie Hooper, Verizon’s technical facilities lead in Europe. Using datacentre energy metrics will help it gather necessary temperature information and take aggressive steps to reduce its energy consumption worldwide, she said. The DECC funding is the latest government initiative in Europe aimed at cutting IT’s carbon footprint. Earlier this year, green IT project CoolEmAll – funded by the European Commission – released the first prototypes of advanced tools designed to help improve the efficiency and sustainability of datacentres. The tools will be ready for general release in 2014 after feedback from early adopters.